RESULT was built in 1883, but was continuously modified over the years in response to changing economic and political circumstances. In her original form she represented the highest technical development of the coastal schooner. In 1914 she was fitted with a 45bhp single cylinder Kromhaut engine, and her square topsails and yards were removed. On being requisitioned by the Admiralty in January 1917 she was converted into a decoy ship, and armed with two 12 pounder guns, fore and aft of the mainmast, a 6 pounder gun forward and two fixed 14 inch torpedo tubes aft. Her square topsails were reinstated by the Navy. In August 1917 RESULT was returned to her owners who once again removed the square topsails, though they were later reinstated. In 1946 she was refitted, her topmasts were removed and a 120 bhp engine was installed. Her mainmast was later removed and RESULT continued as an auxiliary ketch. In her final form, she was a motor ship with steadying sails. The hold was partially converted into passenger accommodation. 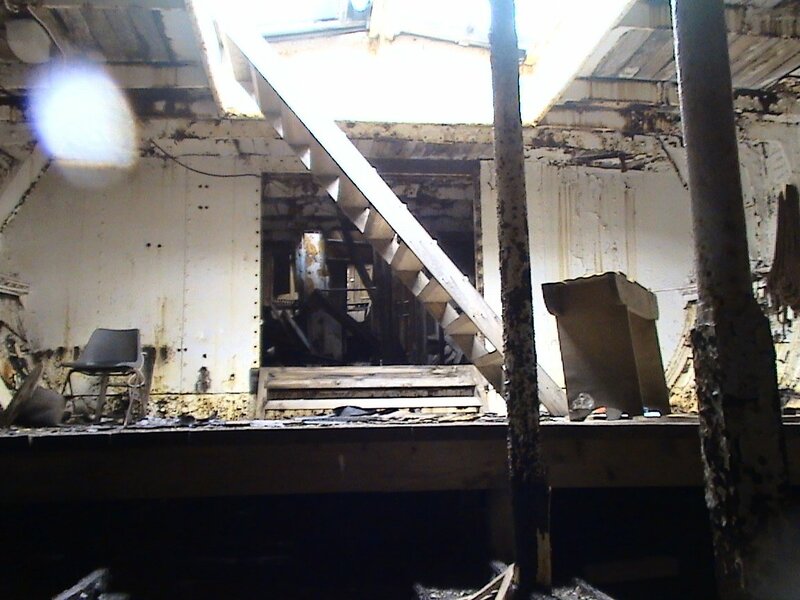 Later work included the removal of the engine, the renewal of wasted plates, and the laying of a new wooden deck. 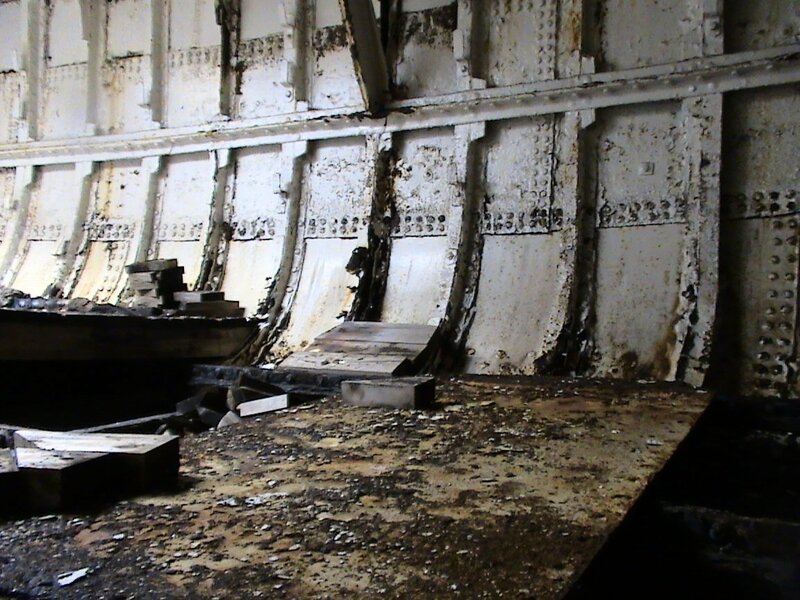 Work undertaken in 1979 included reduction of the hatchways to their original dimensions, the fitting of smaller steel coamings, the removal of the propeller and the plating of the propeller aperture. She is currently stripped of all fittings and her rig has been removed. Construction of RESULT was begun by Paul Rodgers, a renowned boat-builder, but she was completed by Robert Kent & Co. Her name was the ‘result’ of prolonged design discussions between Rodgers, her owners, Ashburners of Barrow, and her master-to-be, Captain Wright. RESULT's trade from Connah’s Quay took her to Ireland, the Isle of Man and Furness. She is significant for her role as a decoy or ‘Q’ ship in the First World War, encountering her first U-boat in March 1917. She suffered damage to her sails and rigging, the foresail receiving thirteen hits. In April 1917 she encountered another submarine and was hit amidships by a shell which set the magazine on fire. After the end of the First World War she continued to trade in the Bristol Channel, along the south coast, and to the Channel Islands and French Channel ports. In 1921 she carried slate from Porthmadog to the continent, and later in the 1920s was working the short sea trade along the south coast. During the Second World War RESULT carried coal in the Bristol Channel trade from South Wales ports. She carried cargo in the coastal and home trades until 1967, by which time she had become the last vessel of her type to be registered at a British port. RESULT is an aesthetically pleasing vessel. Her lines were more graceful and yacht-like than many schooners because her design was the work of Richard Ashburner, a yacht designer, and Paul Rodgers, who had built highly regarded yachts. She had a counter stern and clipper bows with a generous sheer, and was rigged as a three-masted topsail schooner with double square topsails on her foremast. Her good looks were complemented by her speed; she was one of the fastest of the later schooners. Her transition from sailing vessel to motor ship with auxiliary sail reflected her owners’ successful efforts to work the ship profitably within rapidly changing patterns of transport and distribution. 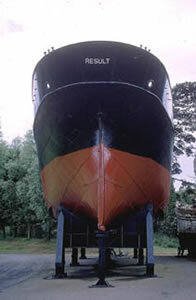 RESULT is now a static exhibit, located out of the water in the grounds of the Ulster Folk and Transport Museum at Cultra, near Belfast, where she was built. 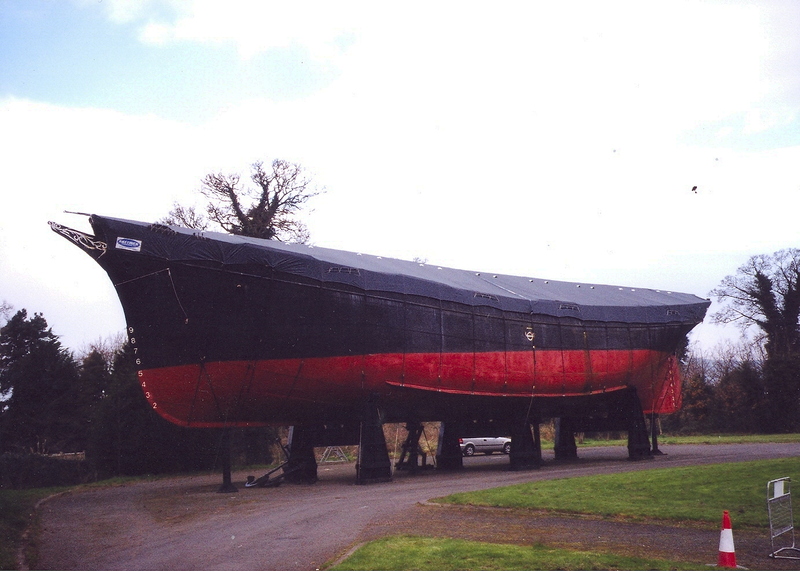 Despite being displayed with minimal interpretation and no rig, as a museum exhibit, she still portrays the history of the coastal and Irish Sea merchant sailing trade. Source: NHS-UK team, 22 September 2015. These are KATHLEEN & MAY, a traditional wooden topsail schooner; RESULT, a steel hulled schooner representing the move from wood to metal hulls and DE WADDEN, a steel auxiliary schooner, representing the transition from sail to mechanical propulsion. 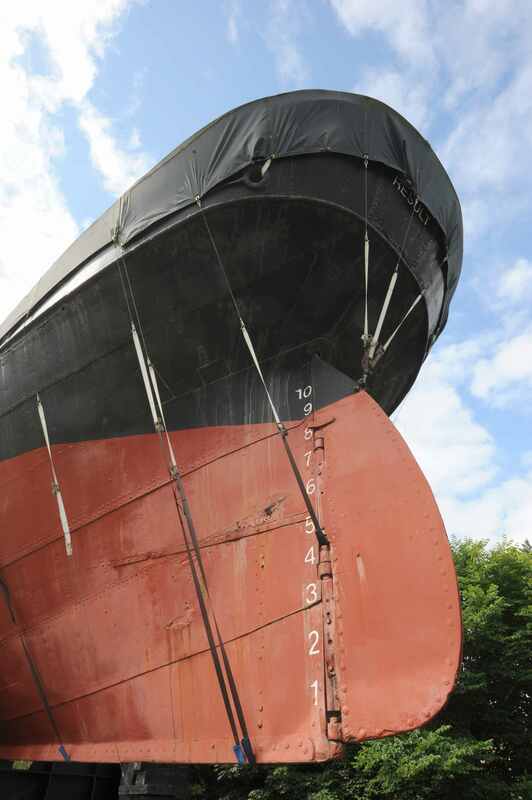 Like RESULT, KATHLEEN & MAY is a registered vessel; DE WADDEN is not, given her Dutch origins. RESULT is aesthetically pleasing to the eye (given her graceful form and fine lines), not unconnected with her designer’s experience as a designer of yachts as well as merchant vessels. The schooner RESULT was a contemporary of KATHLEEN & MAY that continued working until 1967, and differed from her in being built of steel rather than wood. 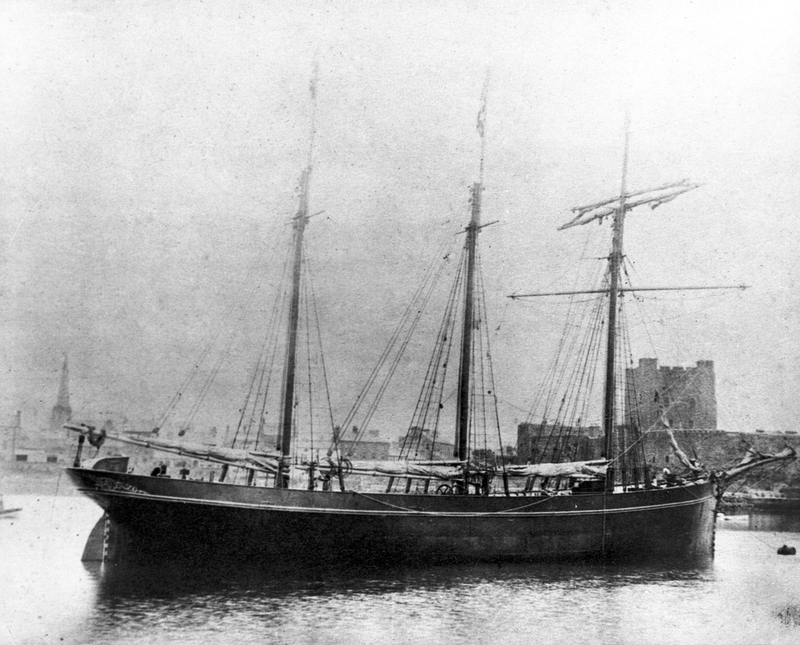 She was launched in January 1893 by Robert Kent & Co., of Carrickfergus on Belfast Lough, for Thomas Ashburner & Co., and was registered at Barrow. Ashburner lived at Connah’s Quay near Chester, (where KATHLEEN & MAY's first owner also lived), and it was from there that his fleet mainly operated. 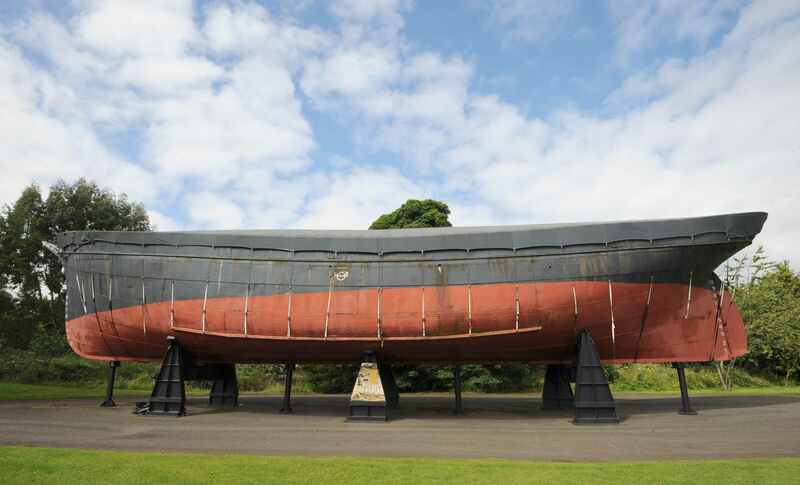 He had ordered RESULT from Paul Rodgers, a renowned schooner builder at Carrickfergus, but Rodgers got into financial difficulties and had to sell out to Robert Kent of Ayr, under whose name she was completed. RESULT's lines were more graceful and yacht-like than many schooners because her design was conceived by Richard Ashburner, a yacht designer, and Paul Rodgers, who had built well-regarded yachts. She had a counter stern, and clipper bows with a generous sheer, and was rigged as a three-masted topsail schooner with double square topsails on her foremast. At first a flying topgallant was also set on her foremast, but this was soon landed. Her good looks were complemented by her speed, for she was one of the fastest of the later schooners. RESULT's trade from Connah’s Quay took herto Ireland, the Isle of Man and Furness. In 1908 she was sold to Captain Henry Clarke of Braunton, North Devon, where she was the largest of the port’s fleet of coastal sailing vessels. In 1914 she was fitted with a 45 BHP auxiliary engine, and her square topsails and yards were removed. In November 1916 she was requisitioned by the Admiralty and was converted at Lowestoft to a decoy ship, numbered Q23, in January 1917. The Q-ships carried a concealed armament with which they hoped to sink a U-boat that believed it was attacking a merchant ship, and indeed some successfully did this. RESULT was armed with two 12 pounder guns, fore and aft of the mainmast, a 6 pounder gun forward and two fixed 14 in. torpedo tubes aft, and her square topsails were reinstated by the navy. She encountered her first U-boat at the southern end of the Dogger Bank on 15 March 1917 and was engaged by UC45 at a range of about 2000 yards. As the submarine closed on her the schooner opened fire and scored two hits on the conning tower, causing UC45 to dive and retreat from the scene. RESULT suffered damage, mainly to her sails and rigging – the foresail alone had thirteen holes in it. Another U-boat was engaged later on the same night. RESULT fired a torpedo which missed, and there was an exchange of gun fire, apparently without either ship being hit, before the submarine dived and made off. On 5 April, near the North Hinder Light a third submarine was encountered, and RESULT was hit amidships by a 4.1 in. shell, setting the magazine on fire and injuring two of the ammunition party. Again when shereturned fire the submarine dived and the Q-ship dropped a depth charge which led to the U-boat’s retreat. In August 1917 RESULT was returned to her owners who once more removed the square topsails, though they were later reinstated in one of the many alterations to her rig over the years. In 1921 she carried slate from Porthmadog to the continent, and later in the 1920s was working the short sea trade along the south coast. By this time her ownership was shared between Captains Clarke and Welch and in the 1930s the latter acquired full ownership. During the Second World War RESULT carried coal in the Bristol Channel trade from south Wales ports. 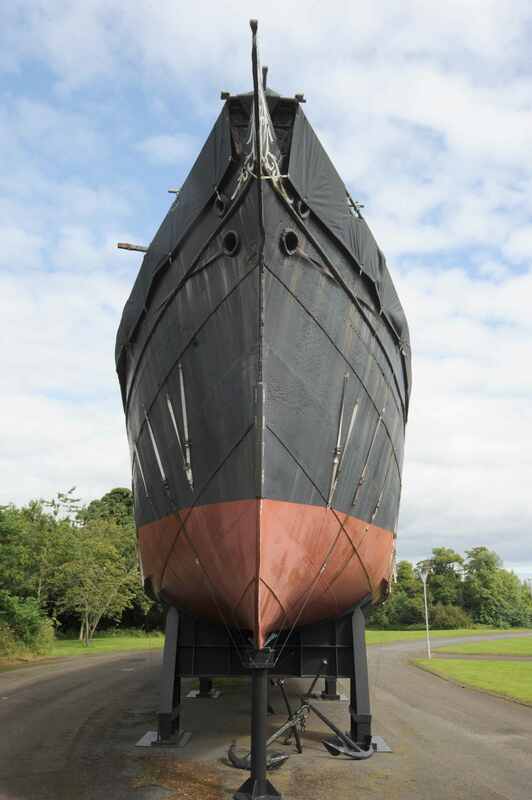 In 1946 she was refitted, her topmasts were removed and a 120 BHP engine was installed. On one passage, under the command of Captain Welch’s son, she sailed from Cardiff for Falmouth with her midships awash due to overloading of her cargo of fertiliser. In a fresh breeze she was soon in trouble and ran for the safety of Barry harbour, but grounded as she was entering and split her stern post. As the engine compartment flooded the engine stopped, and with the schooner’s stern submerged the mate had to be lashed to the wheel to avoid being swept overboard. 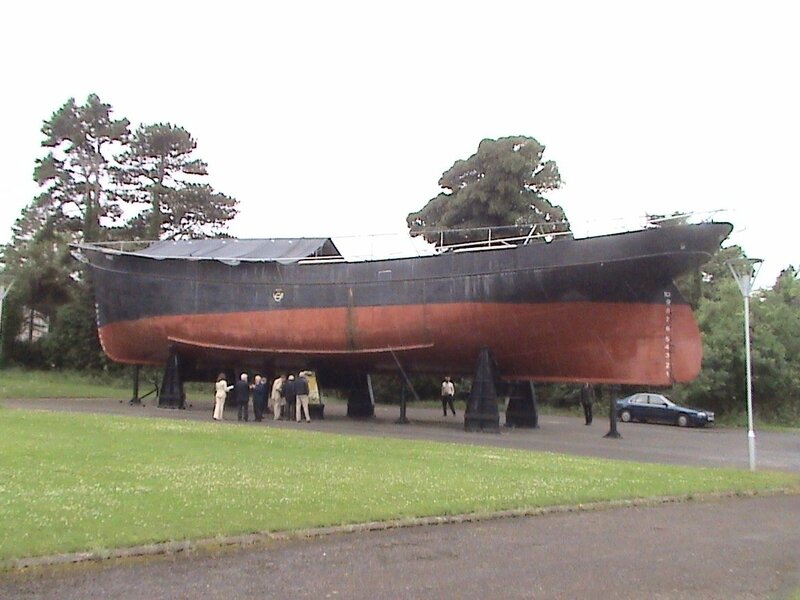 Captain Welch headed for Ilfracombe to beach the ship on a sandy beach, by which time all of the hull but the bows was semi-submerged and it was impossible to reduce sails. The ship was temporarily repaired there and successfully refloated on the next tide. At some point the mainmast was removed and RESULT continued as an auxiliary ketch, trading in the Bristol Channel, along the south coast, and to the Channel Islans and French Channel ports until 1967. With cargoes in short supply Welch decided to convert the hold into passenger accommodation for charter work, but he died before this could be completed. 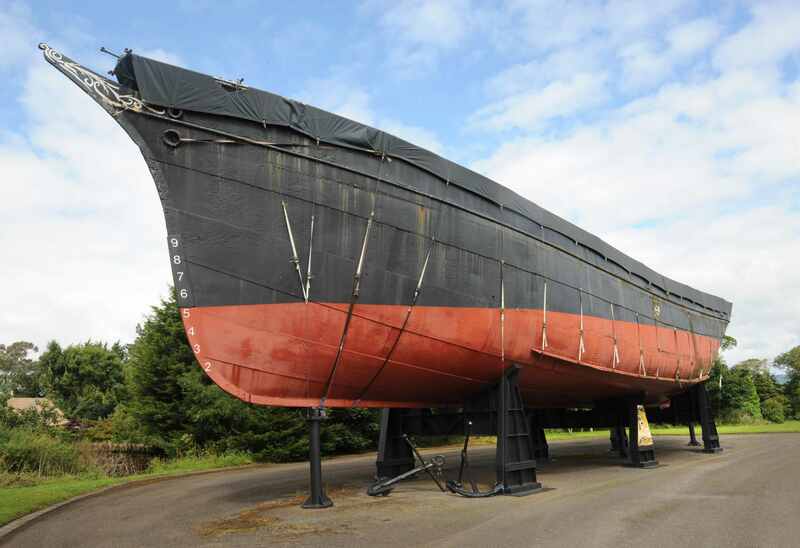 RESULT was taken into the care of the Exeter Maritime Museum for three years and was then sold by Mrs Welch to the Ulster Folk and Transport Museum, arriving in Belfast Lough in 1970. 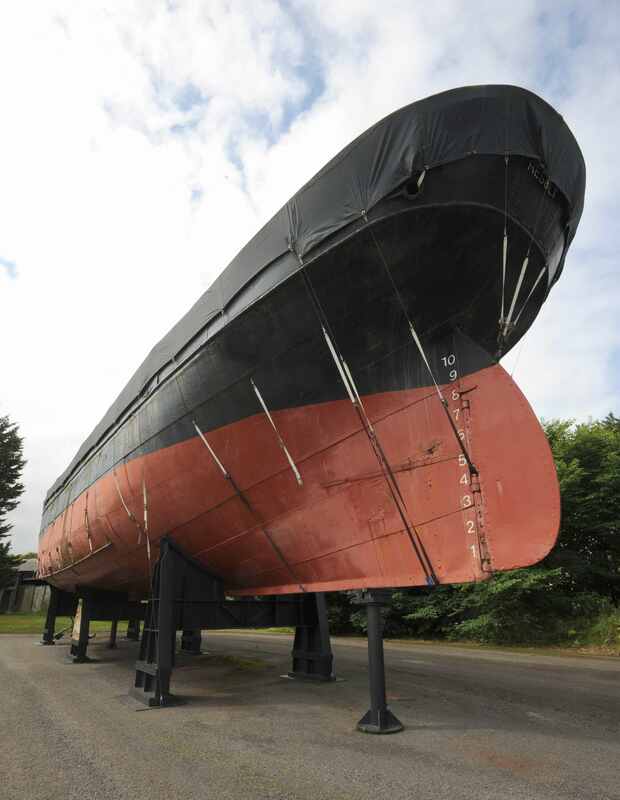 In 1979 she was craned out of the water at Belfast and taken on a road transporter to be put on display, without masts, on dry land at the museum at Cultra, County Down, where she remains. 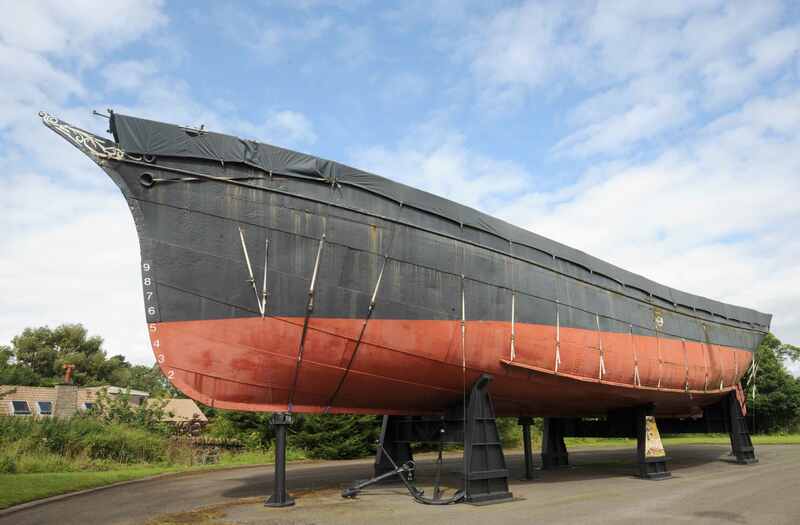 This vessel is a survivor from the First World War. You can read more about her war time history by visiting our First World War: Britain's Surviving Vessels website www.ww1britainssurvivingvessels.org.uk. Source: Paul Brown, Historic Sail, The History Press.